When Mr Krobo Edusei became Minister of the Interior in Dr Kwame Nkrumah’s Government in November 1957, the atmosphere in Ghana’s Parliament was one of the most pleasant in the world. Humour was the most appreciated contributions Members could make to debates, with the result that sharp-witted people like Mr Kofi Baako, became “pillars” of the House. Whatever the chief humourist of the day, Joe Appiah, threw at the Government of Dr Kwame Nkrumah, Kofi Baako would manage to find an answer to. As Parliamentary Reporter of the Ghana Broadcasting Corporation, I enjoyed the exchanges between the MPs. I also found that they respected objectivity: I never once received a complaint from an MP on either side of the House about how they had – or had not – been reported. Me and a guy called Sam Morris, originally from Trinidad did our best to deserve the respect of both sides of the House. And the country enjoyed our efforts — even today, old pals with whom I used to work in Broadcasting House, often yell “TODAY IN PARLIAMENT!” when they see me. One of the victims of Joe Appiah’s wit was Mr Krobo Edusei, who became Minister of the Interior in November 1957. Mr Edusei had once attempted to get the Government of Ghana to commit itself to carrying out some joint enterprises with a Ceylonese national, operating in Britain, who styled himself as “Dr” Emile Savundra. But Joe Appiah and others who had lived in the UK for a long time knew of Savundra as a swindler, who had collected huge amounts of money from customers who sought life and motor-car insurance from his firm, but left them without insurance. Joe Appiah and the others exposed “Dr” Savundra, and he had to make a fast exit out of the country before the CID – which was then very independent and efficient – hauled him before Ghana’s courts. From then on, any time Mr Krobo Edusei entered the House, Joe Appiah would yell across to him: “SAVU!” And the Opposition MPs would chant back: “SAVUNDRA!” But Mr Krobo Edusei, who had started his working life as a debt collector for the Ashanti Pioneer newspaper, had a thick skin and would feign deafness and take his seat on the Government front bench. All this brought a huge laugh from the Opposition benches. They thought Mr Edusei was merely boasting, parrot-like, about his new-found power and that the Prime Minister, Dr Kwame Nkrumah, would respect the Constitution of the land and curb Krobo Edusei’s desire to “show where power lies”. But they calculated wrongly, for the ebullient Krobo Edusei was but his “Master’s Voice”. 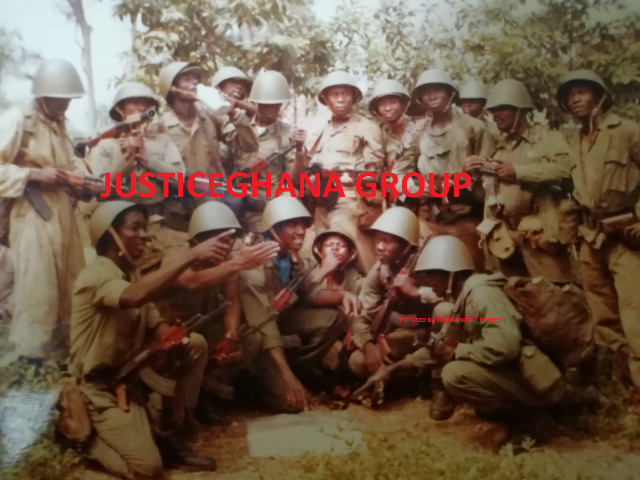 Although the ugly violence that had occurred in Ghanaian politics between 1954 and 1956 – carried out, in the main, by the Action Troopers (on the side of the National Liberation Movement, NLM) and the Action Groupers (of the governing Convention People’s Party, CPP) had died down by 1957, Mr Edusei and some of his colleagues in the Government wanted to reap revenge. And before long, all the Opposition front-benchers were in jail without ever having been tried: Joe Appiah, Victor Owusu, R.R Amponsah, S.D Dombo, Jato Kaleo, and so on. The result was that the House subsequently became extremely dull and tedious. I no longer enjoyed reporting the debates, because the wit and spontaneity had vanished from speeches and one could predict what everyone who stood up to speak would day. What was debate if it did not throw up ideas that had to be challenged with other ideas? The sour atmosphere spread and eventually, even some CPP ministers who did not entirely toe the party line but exhibited an independence of mind (such as Patrick Quaidoo), found themselves being detained. Freedom of speech in the House reached rock bottom when K.A Gbedemah, former Minister of Finance and the man who, as deputy leader, had kept the CPP alive when Dr Kwame Nkrumah was in jail, fled the country in order to prevent himself being detained. On the day Gbedemah fled, he made a fiery speech in the House, denouncing Dr Kwame Nkrumah for being drunk with power. Everyone thought that was the end of him. But he had made arrangements to drive to Togo, and whilst his car drove to his house and someone dressed like him got out of it and entered the house, he was driven across the border by Mark Cofie, one of the fastest drivers I have ever encountered. When I hear that the current Minister of the Interior state that he wants to license some groups that commit violence against others, such as was witnessed in the Talensi by-election, I shudder. My mind flashes back to how we stepped on the slippery slope that took us from the “violence” of incarceration through Preventive Detention, to the gun-violence that occurred with the coup of 24 February 1966, and how we then moved into further violent overthrows of government, in January 1972, July l975, June l979 and December 1981. In each of these violent overthrows of government, completely innocent and apolitical people got killed or suffered from serious acts of violence of various types, because when violence breaks out, reason vanishes through the door. Many men, women and children, van testify to that. And many Ministers of the Interior who have occupied that office since independence, including Mr Krobo Edusei himself – have seen prison from the inside. (Mr Edusei went in twice after a change in government!) I am sure he would, if asked, tell the current Minister of the Interior to be careful not to encourage the outbreak of violence in the service of politics, because no-one can tell where exactly such violence can lead. And Krobo would be quite right, for the 1966 violent overthrow of the government was as different from those of 1979 and 1981 as “oranges and apples.” Yet even 1979 and 1981 could become child’s play, compared to what we could, if we are stupid enough, to unleash upon ourselves in a world that has since experienced 9/11 and Boko Haram. To say nothing of Laurent Gbagbo and Blaise Compaore – both rulers who believed in violence, and whose idiocy occurred a mere one door away from us, so to speak!